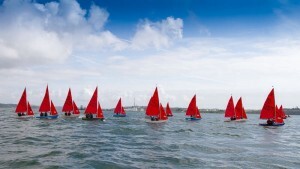 This coming August , the Royal Cork looks forward to hosting the Mirror dinghy European Championship . Competitors are expected travel from all over Ireland , the U.K. and possibly France. The mirror dinghy is no stranger to the RCYC and has always had a significant presence in the club prior to the arrival of the optimist dinghy over the last decade. However two years ago, a large number of mirrors appeared in the club again to compete for the mirror southerns, which highlighted that there was still a desire to sail this much loved two man dinghy. 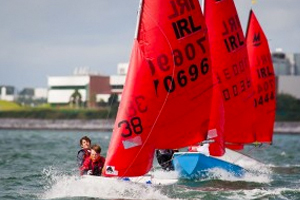 Even now there is a sizeable number of club members who own mirror dinghies and are looking forward to competing in increasing numbers in summer mixed dinghy leagues which commenced last Saturday in the run up to the Europeans. Over the coming weeks , more information will appear around the plans for this exciting event and we would encourage all club members who currently own or previously have owned a mirror dinghy, to get involved in making this event a success.